Snapchat is fantastic for brands looking to use creative and dynamic campaigns to captivate those elusive millennial and Gen Z audiences. This platform focuses almost entirely on visuals, from images and videos, to interactive lenses and rich AR experiences. This ability to provide something ‘new’ taps into a core desire of these younger audiences, who are constantly striving for new information and experiences in today’s ever-evolving digital world. Stranger Things: This is a brilliant example of using lenses to drive hype around a release. Stranger Things turned everyone into Eleven and plunged them into the Upside Down to get them excited for Season 2. 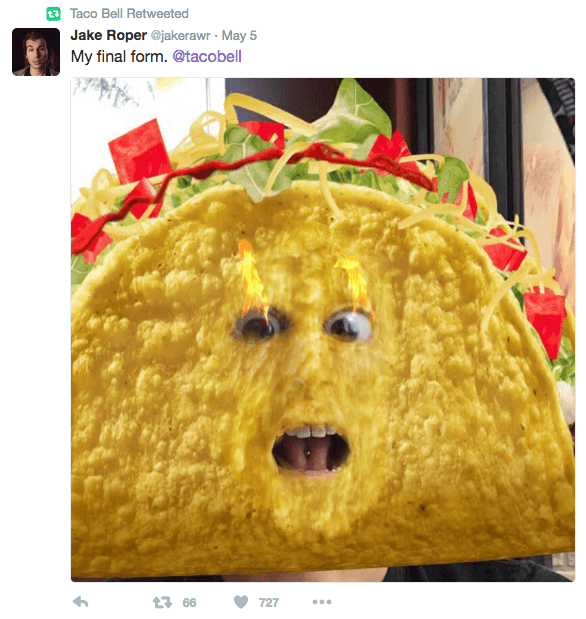 Taco Bell: And hot on the heels of McDonalds, famously funny Taco Bell came out with the below Snapchat lens for Cinco de Mayo. This was a huge success, being viewed over 224million times. Because of course, who doesn’t want to be turned into a giant taco? 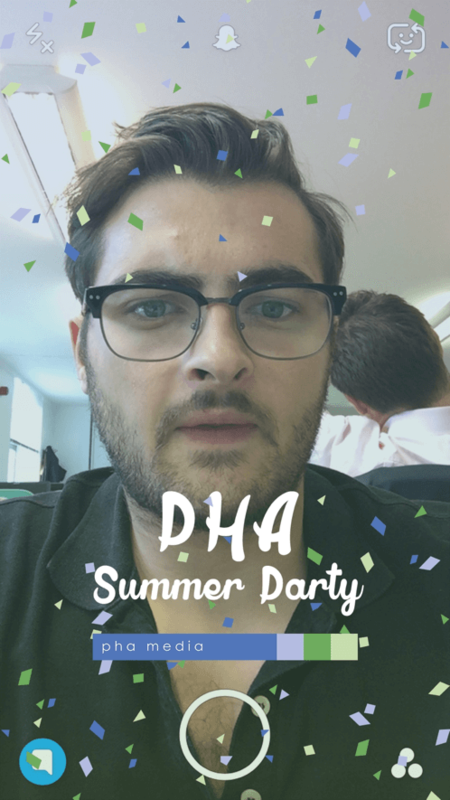 The campaign wasn’t limited to sharing within Snapchat either, users were quick to screenshot and share all across social, giving the brand huge visibility. 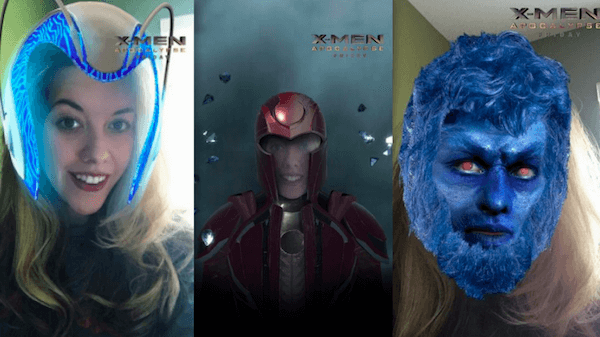 X-Men: This was another clever opportunity that capitalised on the power of Snapchat lenses. With an upcoming film release, X-Men gave fans the chance to turn themselves into their favourite characters. Disneyland: The entertainment giant proved that sometimes, simple is best. 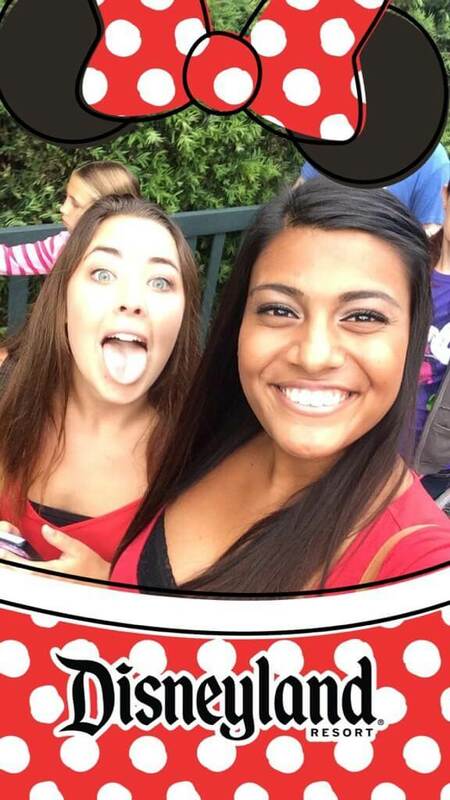 This longstanding geofilter has been hugely successful Disney, set up at their Florida location, it adds an extra layer of engagement for all their thousands of daily visitors. It would have been incredibly easy and cheap to make, yet delivered big time! Impressed by what you’ve seen? Think it could work for your brand? 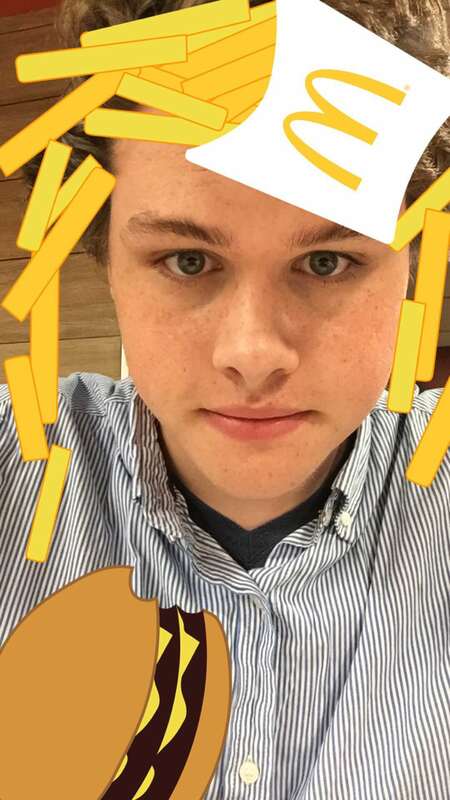 Snapchat offers solutions for every size and scale, allowing complete customisation. Why not see what they could do for you, even if it’s just for your Summer Party.